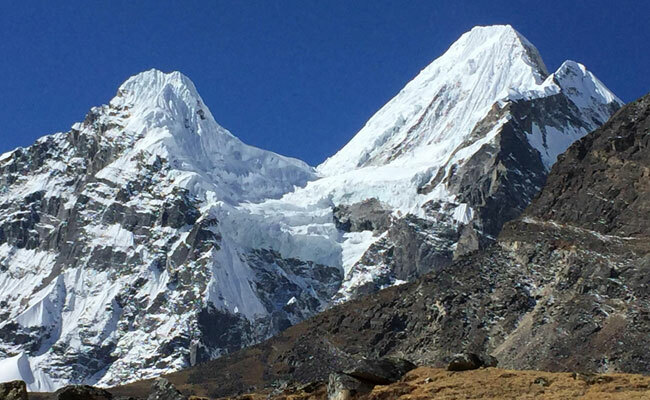 Makalu base camp trekking offers the most spectacular scenery in the Himalayas. 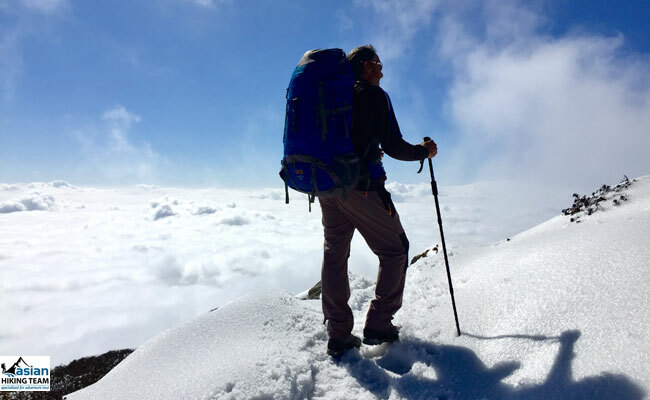 The rewards of trekking are great, but hard ones. It’s remote, wilderness country side and fit for the experienced trekkers. 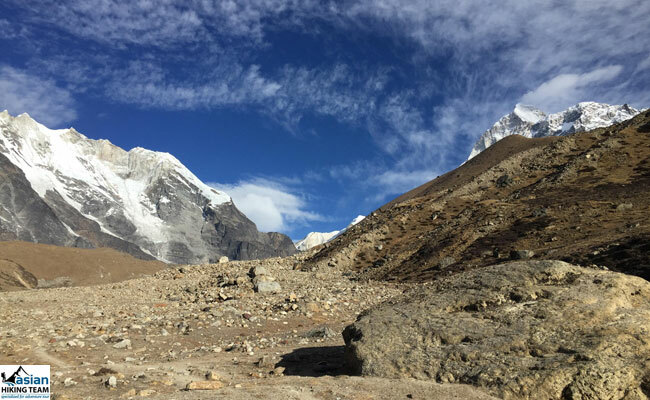 The trail to Makalu base camp takes you deep into the high Himalaya and while the giant of Makalu, "the great black looms above you" and Everest, Lhotse and Baruntse are all in view. Makalu Base camp trekking is inside the Makalu - Barun National Park and Conservation Area were established in 1992 as Nepal's eighth national park and the first to include and adjacent inhabited conservation area as a buffer. Covering 2330 sq. km. Makalu-Barun is a vital component of the greater Mount Everest ecosystem which includes Nepal's 1,148 sq. km Sagarmatha (Mount Everest) National Park to the west and the 35000 sq. km Comolangma Nature Preserve in the Tibet autonomous Region of China to the north. Makalu Barun National Park has 400 species of birds, including the spotted wren babbler and the olive ground warbler. These two species have never been seen in Nepal before. There are many wild animals including the endangered red panda, Himalayan black bear and the clouded leopard. Other wildlife found in the park are; ghoral, tahr, wild boar, barking deer, Himalayan marmot and weasel, common langur monkey and the serow. The Arun River gushing through the park has around 84 varieties of fish including salmon. Some 32,000 people of ethnically diverse backgrounds live in the Conservation Area. The majority belongs to various tribes of Rais and practice an ancient religion which reinforces harmony with nature. Shingsawas and Sherpas, Bhotia people originally from Tibet, live at higher elevations and carry on Buddhist traditions. A handful of other hill tribes including Gurung, Tamang, Magar, Newar, Brahmins, Chhetris and occupational castes live in the lower elevations. Trekking in Makalu Base Camp start flight from to Tumlingtar airstrips or drive, then continues trekking to name 2/3 days or directly drive, to name 8/9 hours than six days treks to reach in Base Camp. Asian Hiking Team itinerary, return same way to Tumlingtar but it is possible either pass the highest and difficult pass Sher-Pini col or follow the lower routes to end your trek in Lukla or Phaplu. We are happy to organize the Makalu base camp trekking as your interest and time frame. Makalu Base camp trekking accommodation have a basic tea house or camping as you want. The best time to visit Makalu base camp autumn or spring season "the fair weather in Nepal". Day 01: - Arrival Kathmandu, transfer to Hotel, overnight hotel. Day 02: – Trekking preparation day in Kathmandu. Day 03: – Kathmandu to Tumlingtar 510m, 40 minutes by flight. Day 04: – Tumlingtar to Num (1500m) by Jeep 5 hours drive, overnight in Lodge/Tea house. Day 05: – Num to Seduwa (1540m), overnight in Lodge/Tea house. Day 06: – Seduwa to Tashigaon (2070m), overnight in Lodge/Tea house. Day 07: – Tashigaon to Khongma (3560m), overnight in Lodge/Tea house. Day 08: – Khongma to Mumbuk (3550m), overnight in Lodge/Tea house. Day 09: – Mumbuk to Nghe Kharka (3750m), overnight in Lodge/Tea house. Day 10: – Nghe Kharka to Shersong (4610m), overnight in Lodge/Tea house. Day 11: - Rest day for acclimatization. Day 12: – Shersong to Makalu Base Camp (5050m), overnight in Lodge/Tea house. Day 13: – Shersong to Yangle Kharka (3600m), overnight in Lodge/Tea house. 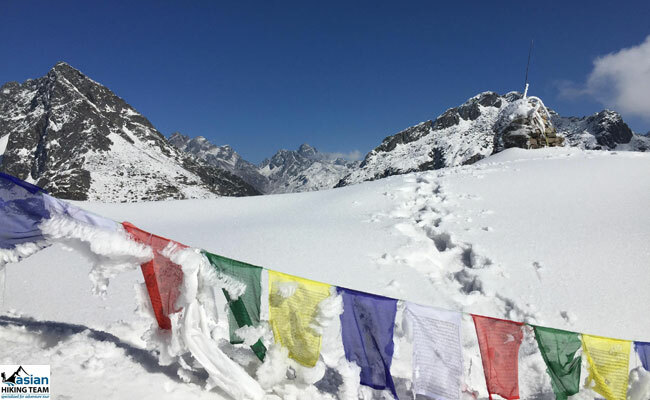 Day 14: – Yangle Kharka to Khongma la (3560m). Day 15: – Khongma La to Seduwa (1540m), overnight in Lodge/Tea house. 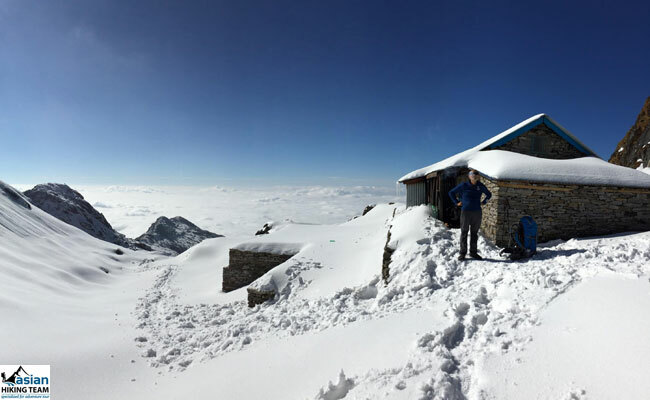 Day 16: – Seduwa to Num (1500m), overnight in Lodge/Tea house. Day 17: – Num to Tumlingtar(1840), By Jeep to Tumlingtar 5/ 6 hours drive, overnight in Lodge/Tea house. Day 18: – Tumlingtar to Kathmandu (1100m), overnight in Lodge/Tea house. Day 19: – Leisure in Kathmandu, overnight in hotel. Welcome/welfare dinner in Traditional Nepali Restaurant. Day 01: Arrival Kathmandu, transfer at hotel, Kathmndu. Today is your arrival. We welcome you upon your arrival at Kathmandu’s Tribhuvan International Airport. Transfer to Hotel in Kathmandu or your choice of Hotel in Kathmandu Valley (Kathmandu, Patan and Bhaktapur). Overnight in Hotel. Check trekking equipment / Shopping equipment / if you want to half day sightseeing in Bhaktapur World Heritage site where your guide will accompany you on a tour of UNESCO enlisted temples and unique fusion shrines of Newari architecture, reflecting a rare blend of Hinduism and Buddhism. Our Trek Leader/Guide will meet you in the afternoon for trek briefing and final trek preparation. Overnight Hotel in Kathmandu. Day 03: Kathmandu to Tumlingtar (510m. ), overnight Lodge/ Tea house. Day 04: Tumlingtar to Num 1500m 4/ 5 hours, overnight Lodge/ Tea house. Early morning we take Jeep to Num 4/ 5hours, Overnight in Num 1500m. Note: Optional route: Day 04/05 to walk to Mane Bhanjyang / and Chichira (1840m) to Num is orizinal trekking route but you need two days extra. Day 05: Num to Seduwa (1540m), overnight Lodge/ Tea house. After leaving our campsite at Num we will descend steeply from the western end of the Num ridge through the cornfields of Lumbang, we will continue our way down through jungle to a suspension bridge over the Arun Kosi (620m). From here we will do the steep climb up to Seduwa (1540m) which has an excellent large camping ground below the national park office. Here we must register with both the local police and the national park office (5:30 hrs). Day 06: Seduwa to Tashigaon (2070m), overnight Lodge/ Tea house. Today there are many streams to cross that may (or may not) have bridges and makes a gradual climb high above the Kasuwa Khola to a mani wall (1890m). From here on it is a gentle walk through terraced rice fields and forested areas to Hindrungma village, and then onto Ropsesa. 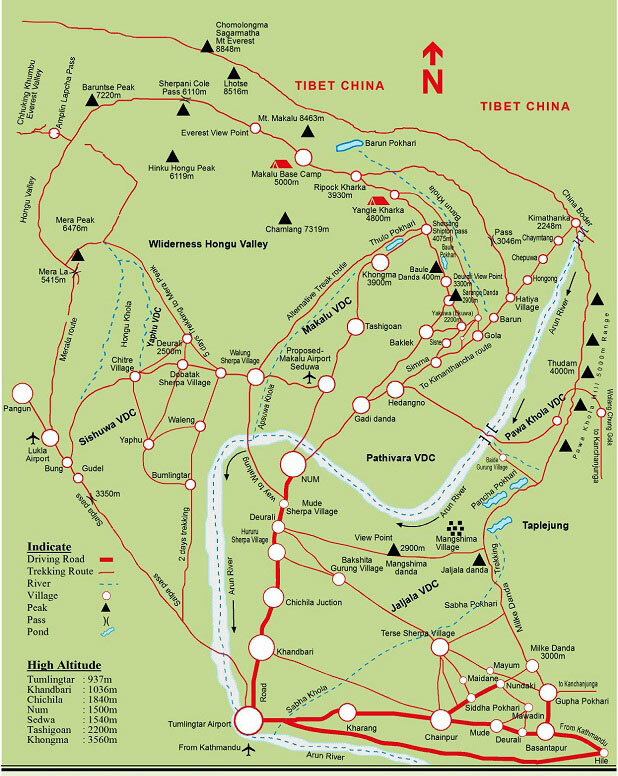 The route crosses meadows and several streams and then reaches the Tashigaon School, after which there is yet another stream to cross and a short ridge climb to reach the foot of the Sherpa village of Tashigaon. This is the last settlement in the valley. Many of the houses in this village are on stilts topped with round stone or wood barriers to keep out the mice (5 hrs). Day 07: Tashigaon to Khongma (3560m), overnight Lodge/ Tea house. This will be a tough day with an elevation over 1400 meters on a steep trail. We will ascend through forests to a stream and then onto a ridge where there is a small shepards hut called Chipla (2520m). After this the trail becomes even steeper and passes a kharka (commonly owned grazing land) and finally follows a series of rough stone stairs ascending to the top of the ridge. From here it’s a short way down to Khongma. There are no buildings here and many of the tent sites are on the sloping hillside (6 hrs). Day 08: Khongma to Mumbuk (3550m), overnight Lodge/ Tea house. Today we will first climb on steep switchbacks adorned with prayer flags to a ridge at 3840 m, from where there is a very nice view of Chhamlang, Peak 6 (6739m) and Peak 7 (6105m). We will follow the ridge through a rhododendron forest for a while and then go up to the first of three passes we must cross today, which is Ghungru La (4050m). 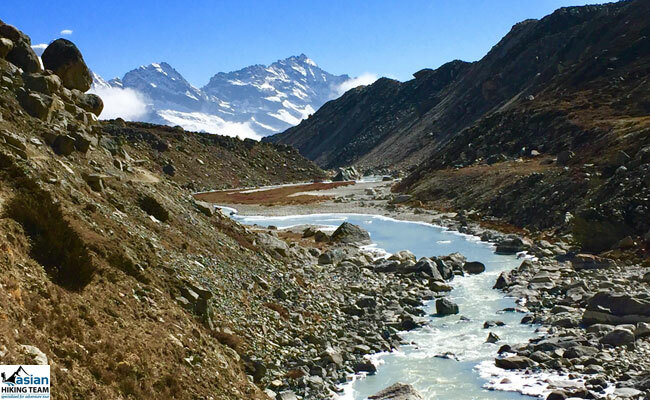 Descend to a small turquoise lake after which we will ascend again through Shipton Pass (named after Eric Shipton, who used this pass with Edmund Hillary on their 1952 Everest reconnaissance). We then have to pass Keke La (4150m) after which we will enter a valley filled with rhododendron forest and continue on to our campstite at Mumbuk (7 hrs). Day 09: Mumbuk to Nghe Kharka (3750m), overnight Lodge/ Tea house. Descend to Barun Khola through fir and rhododendron forests and we pass a small cave at 3250 meters and then traverse up and down to a large open area. We will have good views of Peak 7 from here. The valley widens and we have to pass several streams and then cross the Barun river on a wooden bridge to Yangle Kharka and then onto the large grassy plain of Nghe Karka (6 hrs). Day 10: Nghe Kharka to Shersong (4610m), overnight Lodge/ Tea house. Beyond Nghe Kharka we will follow the Barun valley past Piphuk Kharka (3930m). Then we will climb alongside a waterfall and then on to a swampy meadow and stream. Here we will go to a single house at Jhak Kharka (4210m) and continue our way through the meadows of Yak Kharka where there is a rough hotel and an amazingly well equipped shop. Beyond Yak Kharka we will follow alongside a moraine formed by the lower Barun glacier. There are excellent views of Peak 4 (6720m), Peak 3 (6477m) and peak 5 (6404m). We will continue our way through the valley until we reach Shersong for overnight camp through pine and rhododendron forests and grassy plain. Halfway into the valley the dramatically beautiful summit of Makalu comes into view (7 hours). Today is rest day in our trekking, explore to Base Camp or climb the rock, take rest for acclimatization. Day 12: Shersong to Makalu Base Camp (5050m). From our camp site at Shersong, it is a gradual climb to a minor pass about 100 meter above Makalu base camp after which we descend to a stream and cross boulders to the base camp on the west side of the river. There are terrific views of the south face of Makalu. There are no huts, shelters or vegetation at base camp which is at an elevation of about 5000 meters. We will return to Shersong on the same day for our overnight camp (6 hrs). We will retrace our steps down the Barun valley to the pleasant camp of Yangle Kharka (5hrs). We will continue descending through the rock-fall area and then climb up the rocky gully to the trees of Mumbuk (4:30 hrs). Day 15: Mumbuk to Seduwa (1540m), overnight Lodge/ Tea house. Same way return as before. Day 16: – Seduwa to Num (1500m), overnight Lodge/ Tea house. Day 18: – Tumlingtar to Kathmandu (1100m), overnight Lodge/ Tea house. Day 19: – Leisure in Kathmandu, overnight hotel. Day 20: – Departure Kathmandu.